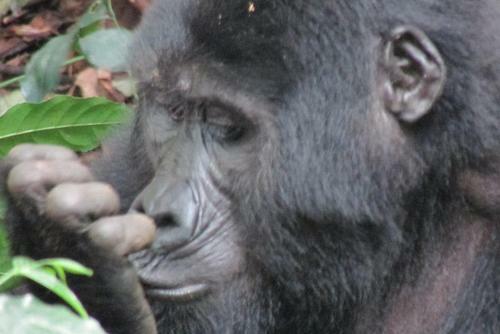 Come face-to-face with the enchanting and critically endangered mountain gorillas of Southern Uganda. 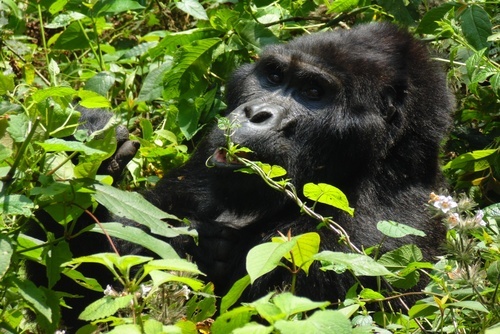 This award-winning project gives volunteers the chance to get up close and personal with captivating and endangered mountain gorillas in the lush greenery of their natural, Ugandan habitat. 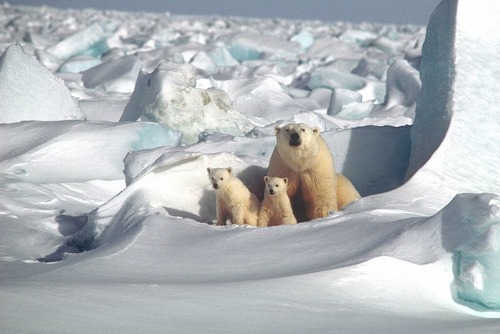 Volunteers will not only be able to actively contribute to the on-going protection of these incredible creatures, but will be able to experience them roaming freely in their natural habitat. 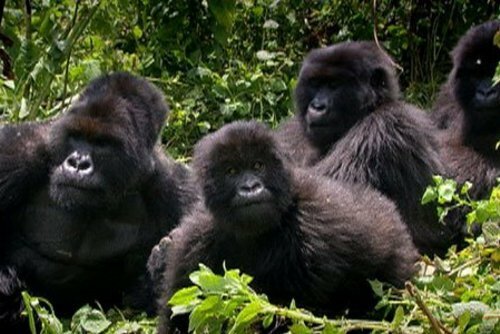 Such gorilla tours will take place in Bwindi Impenetrable National Park - a sanctuary that is home to half of the world's critically endangered mountain gorillas. 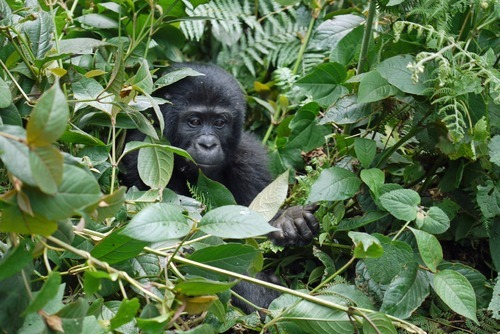 Here, volunteers will collaborate with the local communities on reforestation efforts and will work towards educating these communities on the importance of the gorilla. 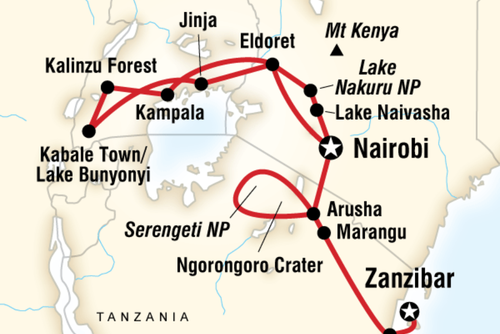 As well as two permit-inclusive gorilla treks, this project also includes a four-day excursion to Uganda's renowned Queen Elizabeth National Park. Here volunteers will have the opportunity to track wild chimpanzees, join an unforgettable boat trip on the Kazinga Channel and accompany game-drives searching for elephants, lions and other species. Arrival at Kigali International Airport. Transfer to guesthouse and meet fellow volunteers. 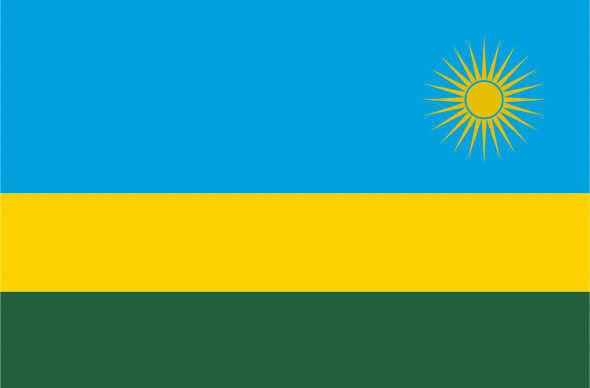 Cross the border of Rwanda and into Uganda during a transfer to Kisoro, transfer time around 3 hours. The first of two gorilla tours in Bwindi Impenetrable Forest led by local park guides who will impart their local knowledge and wisdom about endangered mountain gorillas. 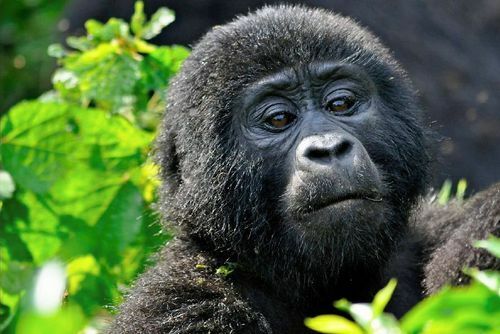 Spend these days with 'Gorilla Organization', where you will visit the local schools and help to teach the kids about the importance of mountain gorilla conservation. 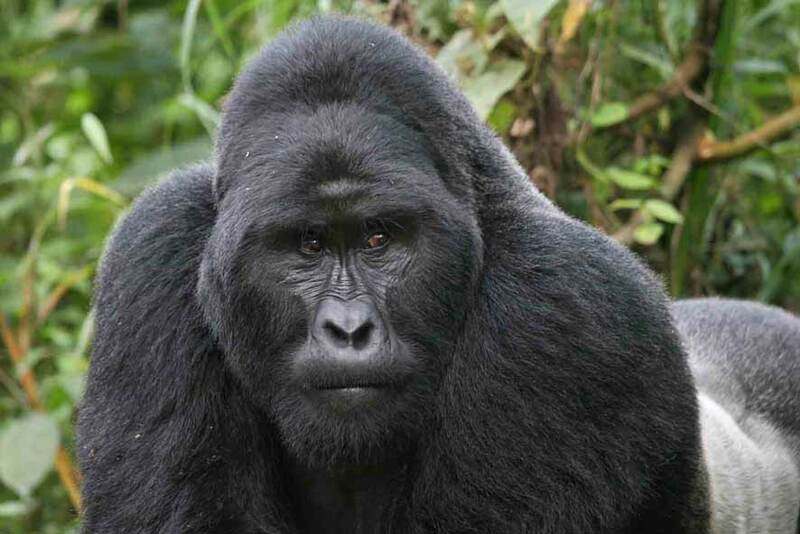 Today you will head out on your second gorilla trek into the Bwindi Impenetrable Forest for another chance to see the gorillas in their natural habitat. Today you will take a transfer to the Queen Elizabeth National Park and have time to take in the abundance of natural beauty that surrounds you here. You will spend today aboard a boat on the Kazinga channel which is home to hundreds of hippos and if you are lucky you could even see a lion or elephant coming down to drink! 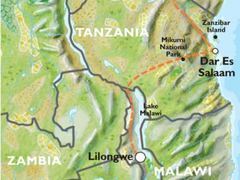 It's your chance to tick another primate off of your list as today you will be searching for Chimpanzees on a trek. Today is a day of relaxation, and after the group has transferred back to Kisoro you will spend the remainder of the day chilling out at the accommodation. 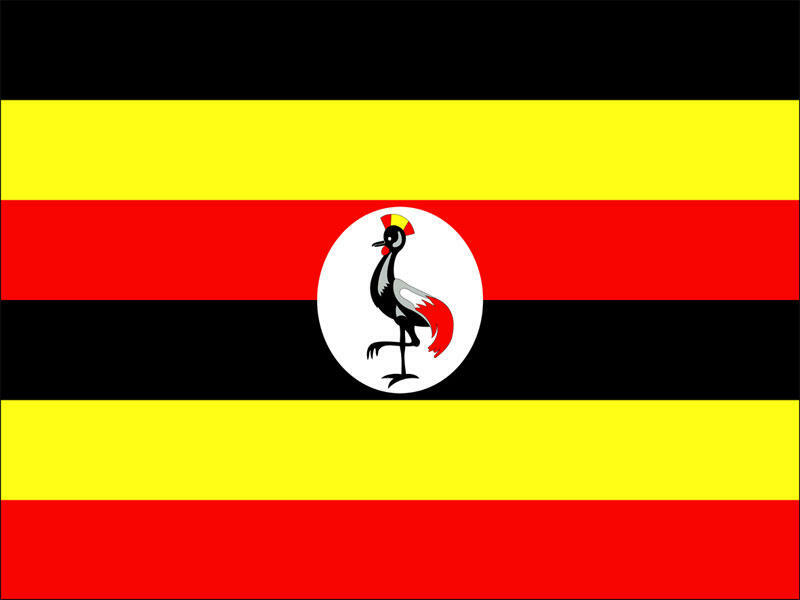 Make sure you pack trainers in your suitcase as you will be helping out with the pedal-powered cinema today, and this gives children in remote locations in Uganda a chance to watch educational films and learn more about the plight of the gorillas. 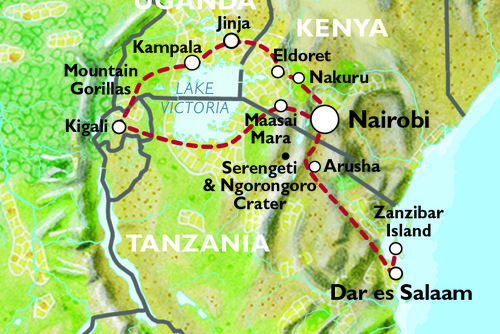 You will be taking part in a trek through the Mgahinga National Park with children from a local school which works primarily with children with special needs. This is a fantastic chance to impart all of the knowledge you have gained so far about gorilla conservation onto these young and eager ears. Today will be spent at one of many different community project sites. This could involve anything from teaching reformed poachers about how to provide for their families through farming, beekeeping with local farmers, or visiting the local community. Transfer back to Kigali. Transfer to airport for return flight or continue with independent travel plans. Please book late evening flights for your departure. • A monetary contribution to the two charities involved in the project. All volunteers should have a moderately high levels of fitness to be able to take part in regular treks, often in humid conditions. The project work does not involve much in the way of physical labour. No specific skills or experience are required to take part, just a commitment to the project and its aims. You must be prepared to work with other members of the group, and bring an upbeat, positive attitude.